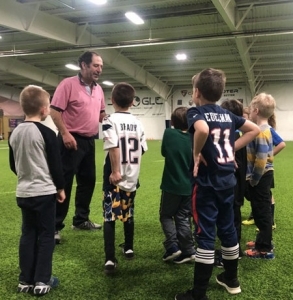 2019 will mark our 11th year running our Soccer Foot Skills program coached by Roland Dudney. Due to the extreme popularity and limited class size of this program, HGR now holds classes 4 evenings a week! In addition, we have added a 5-week session for U-6 soccer players. Our winter soccer training sessions are broken up into three separate 7-week courses, beginning in October, December and January. Classes are limited to 24 students to ensure optimum personal attention, so reserve a space today to avoid missing out on Roland’s expert tutelage. Demand for this program is always extremely high. We anticipate the same for the upcoming season. Once classes are sold out you will be placed on a waitlist. If you are waitlisted we will contact you to try and place you in one of our rollover classes. Please be sure to sign up for the waitlist and we will do everything we can to accommodate all players and families. HGR is proud to present the 10th year of our winter soccer camp series, Foot Skills with Roland Dudney. 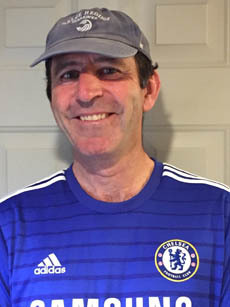 Originally from England, Roland grew up playing soccer.